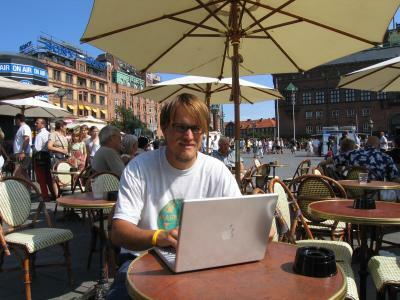 i went to copenhagen, denmark for a long weekend to visit my ex-girlfriend stephanie. 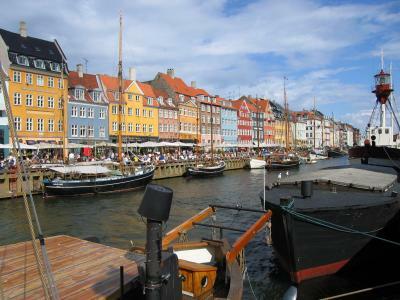 here is perhaps the most recognizable street in scandinavia: nyhavn in copenhagen. 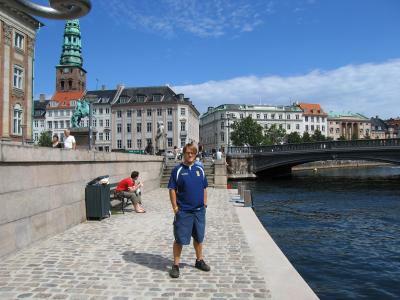 i'm about to take a canal tour of copenhagen! 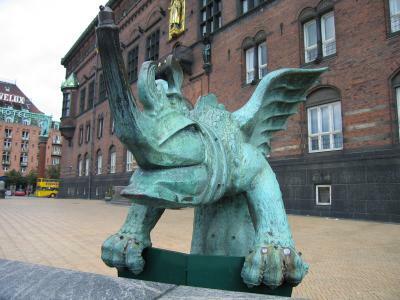 this is the dude you have to deal with if you get rowdy outside the radhus, or city hall. 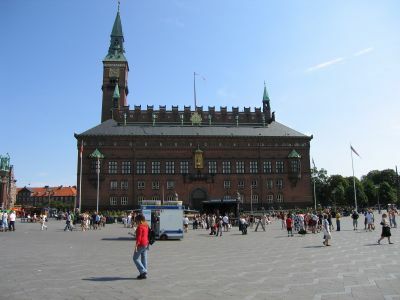 copenhagen city hall. there is a constant parade of marriages going on inside. 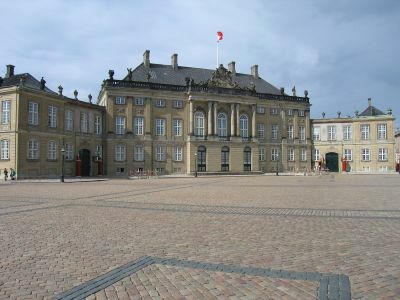 stephanie lived right across the street from a castle. 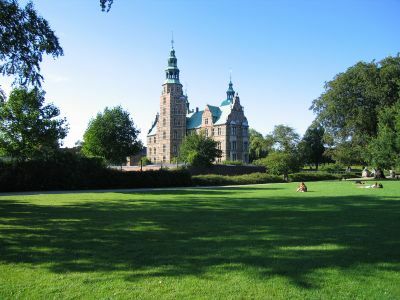 here is rosenborg castle in the middle of a large, green park. the queen's got a pretty nice place right on the water. 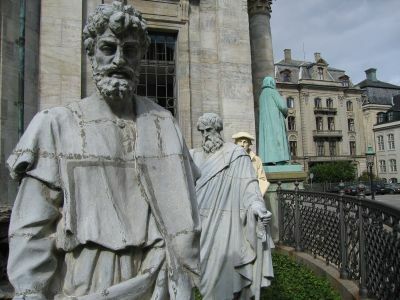 pretty cool statues of jesus's posse outside a church. 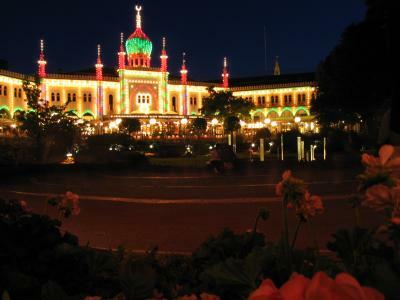 the lights of tivoli, an amusement park in the middle of copenhagen. 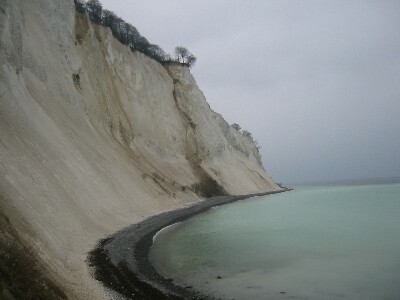 mons klint, or the cliffs of mon, on the island of mon in denmark. 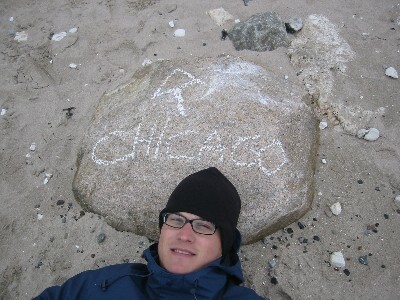 the cliffs are made of chalk, some of which i used to write on the rock in the previous photo. 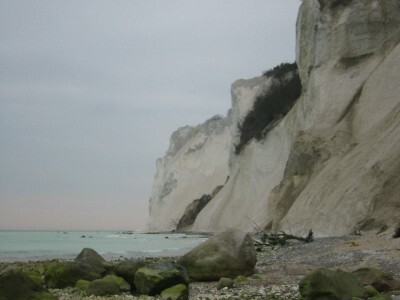 the water at the base of the cliffs looks like milk from the dissolving chalk.